On Sunday I chatted with a friend who’s both an aviator and an oil industry insider. He reminded me that most aviation accidents are ultimately ascribed to pilot error. He’s sure that’s what happened with the BP oil spill. Not equipment or procedure failure initially, but executive error. Somebody in a key position made a bad decision. A mile underwater is a more hostile environment than the pilot’s sky; the challenge of drilling for deep sea oil is more comparable to exploring space. Bad decisions can be catastrophic. This one sure was. Another difference between BP (and possibly commercial space ops) and NASA: how the latter does contingency planning. NASA plans for things to go right, wrong, and every which way in between. Not so BP. It seems clear from the coverage in the media, especially the Houston Chronicle (which, serving the energy capital of the world, has had coverage in quantity and depth), that BP was not interested thorough and rigorous contingency planning. Too expensive. NASA’s managers, over half a century and through spectacularly tragic accidents, learned the hard way to plan contingencies. BP’s executives, through a rather sordid history of fatal plant accidents, oil rig disasters, and regulatory penalties, seem not to have learned the lesson. This time the consequences hit home. I’m anxiously interested to see how commercial space decision-makers fare between the hard anvil of the unforgiving space environment and the relentless hammer of the necessity to turn a profit. Needing some new publicity photos and mug shots, I went to see John Cross of jCross Photography. He does portraits and airplane/aerial photography. He enjoys combining these missions, which is fine by me! Here’s one of the resulting photos – me with John’s Cessna 170. By the way, the engine was verified to be turned off . With some small airplanes, a stationary propeller can turn into a rapidly moving and deadly one just by moving the prop. When I meet an airplane parked on a ramp or in a hangar I won’t touch the propeller, and you shouldn’t either. Well, here’s one that we can hope and pray we don’t see. The notorious oil spill is still bleeding like a cut artery in the deep waters of the Gulf of Mexico. What happens if a hurricane comes along? NPR did a segment on this, and the prospects are awful. By darkening the water, and causing the water to heat under the sun, the oil might make a hurricane more severe. Or a hurricane might drive the oil much deeper into the salt marshes than it would have gone on its own. Or shove the oil at Florida. It’s beside the point to say this is an impossibly unlikely scenario. By the reckoning of BP, the oil industry in general, and the Federal MMS agency that was way too cozy with the industry, the spill itself was impossible! 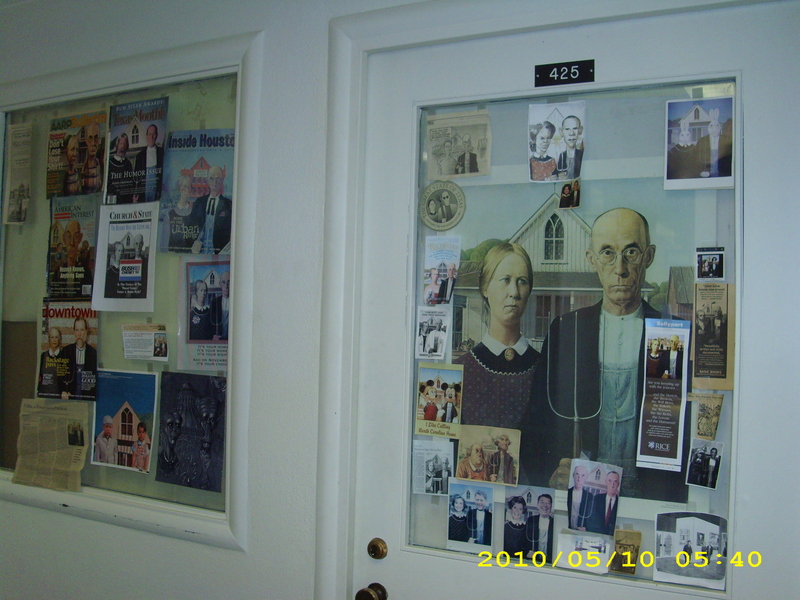 On the door and window of Dr. Chandler Davidson’s Fondren Library – Rice University office: all of these satiric, whimsical, or (depending on what kind of deadline the illustrator was under) desperate riffs on Grant Wood’s iconic painting American Gothic! The news media are full of reports of how British Petroleum ran its deep sea drilling operations with a paltry safety budget; tolerated various problems with the Deepwater Horizon drilling operation, including the blowout preventer not being in top condition; and even attracted the attention of U.S. lawmakers who tried to get the Minerals Management Service to take a hard look at the operation – back in February. The aviation community knows that most bad accidents do not happen with no warning. Instead they are the dismal end of a chain of lesser things gone wrong: the accident chain. It can include worsening weather, a minor mechanical problem, a pilot having a head cold, even a pilot’s persistent intuition that something isn’t right. Smart pilots look out for accident chains. After one thing goes wrong they get very alert. After the second thing goes wrong, they stop the chain, e.g., by scrubbing the flight that day or if already up in the air making a beeline for the nearest airport. Many a life and airplane has been saved when a pilot recognized an accident chain in progress. For the classic example of an accident chain allowed to run to its catastrophic conclusion, see the Titanic. And now Deepwater Horizon. Evidently that rig had an accident chain rivaling the one in Dickens’ Christmas Carol, the chain carried by Marley’s Ghost! Since I moved house last year, it has repeatedly surprised me how many entities knew my new address without me telling them. Every catalog I ever ordered from sent me a Christmas issue to the new address, unasked. 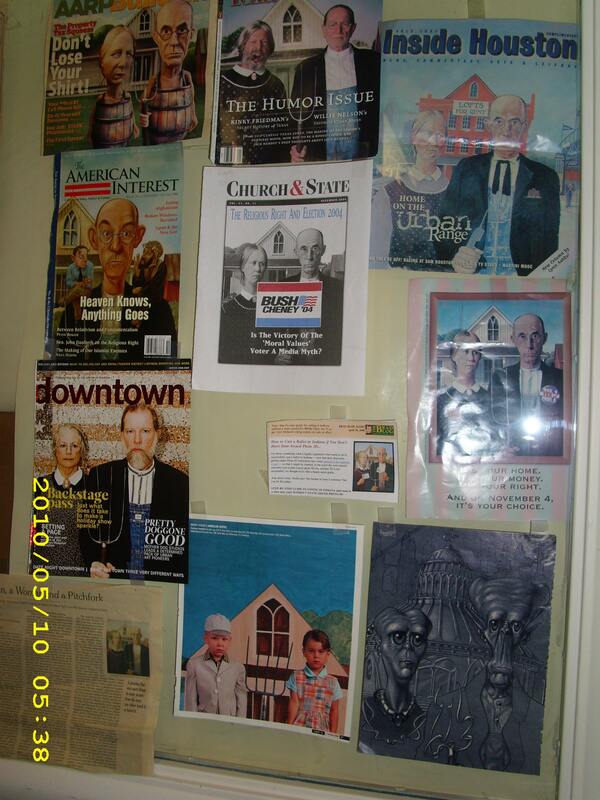 When I ran interference for my mother in setting up her 2010 retiree health benefits, the telephone customer rep verified my identity by checking the Post Office rolls online and found my new address listed there. I was on the phone one day to my mortgage company’s IT department, asking for their help with setting up an online account. They verified my identity in part by asking me which of three cars I’d ever owned – they said the information was culled from “publicly available databases.” Sure enough one of the makes and models was a car I used to own. Now the FAA has sent me a reminder that I haven’t replaced my old paper pilot’s license with the required new plastic one. 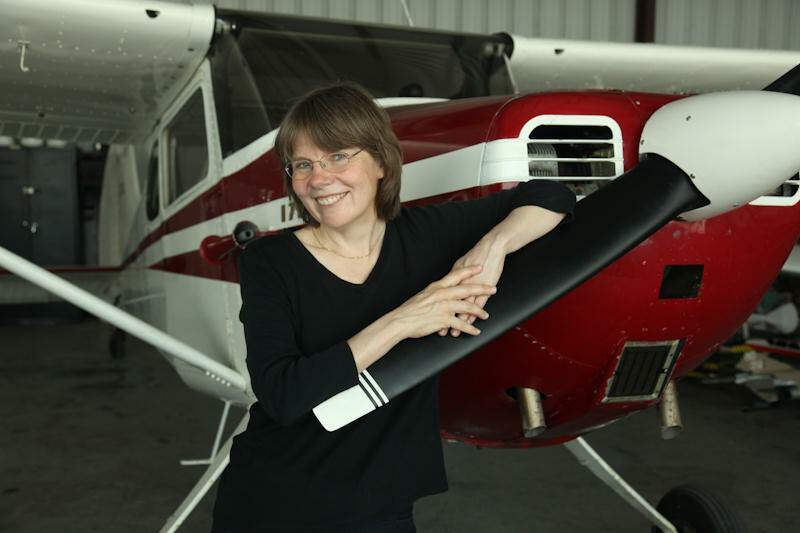 True – I had to go inactive in my soaring club a couple of years ago and am just now seeing my way clear to resume recreational flying, so I hadn’t worried about the license. The FAA sent the reminder straight to my correct new address. In the old days you had to make darn exacting sure to inform them you’d moved. A new metaphor for the Internet is CLOUD, especially in the sense of the Internet teeming with resources that we don’t know the exact location of. Cloud computing may be the next big thing, but already it’s startling what all is out there having to do with everything and everyone and how common it is to pull some detail about somebody out of the flux for some reason. Case in point my car owning history and all the instances of my changed address being so handy to every entity under the sun. With one exception. My mortgage company started leaving off the unit number when they mailed me the coupons intended to be mailed in with the monthy check. It took me having two fruitless discussions with customer service on the phone followed by talking to the IT people, followed by setting up my online profile, for them to get my mailing address right. Honestly. You’d think the mortgage company would be perfectly clear on the address of a mortgaged property! I had lunch yesterday with my writer friend Bridget and we got onto the topic of BP’s broken oil well bleeding into the ocean. I mentioned that of the major oil companies, BP is the one that insiders say has a history of putting profits ahead of safety. I heard that from somebody who retired from Exxon-Mobil management. She’s got a point. This one looks so bad. And so unnecessary. The newspaper’s had plenty of reporting about blowout preventers having failed before, just not catastrophically. This one is public knowledge to an incredible degree, too. My boss’ two-year-old grandson in Seattle asked his mom if he was too young to go help clean the birds and beaches! Kevin Winn is a professional potter, ceramics teacher, and artist in Salt Lake City, Utah. 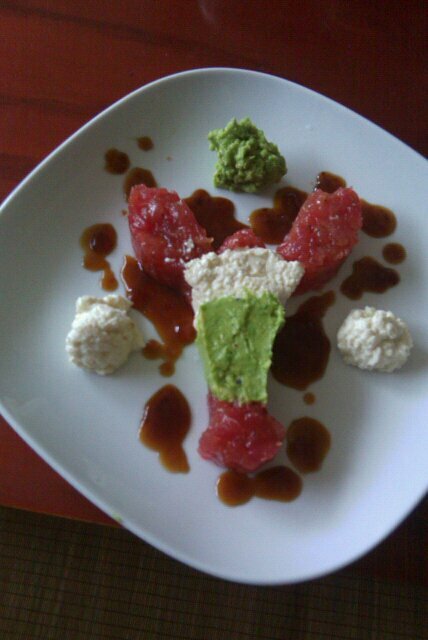 Here’s the work of art he named Death of Music. He created the skeleton out of old piano keys and other derelict pieces of musical instruments. The skeleton’s lair is an antique, sin-ugly bass violin case. 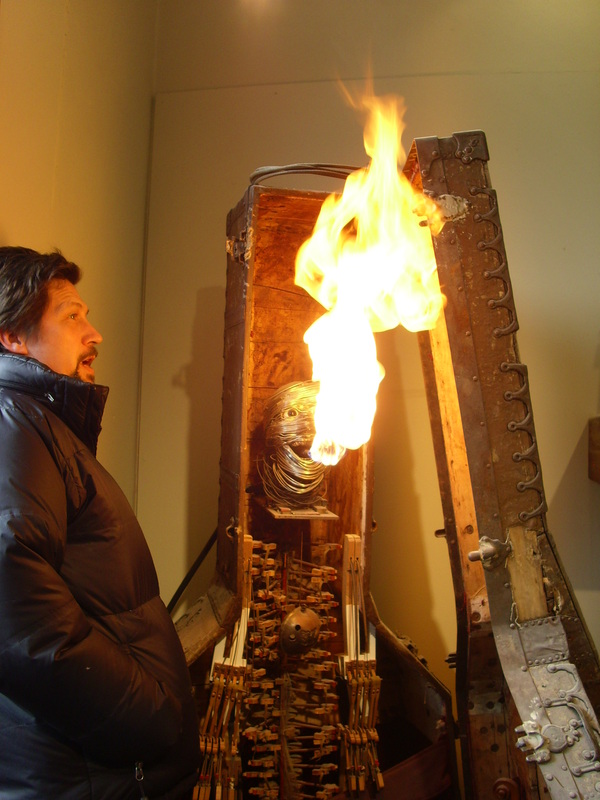 It was found in the storage shed when Kevin and Valerie bought their house in SLC’s old Sugar House neighborhood. Valerie’s sister is my writer friend Bev Hale. 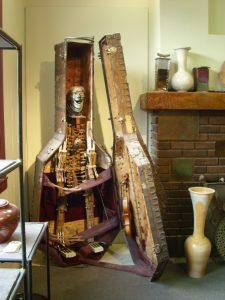 I met the creepy bass violin case a couple of summers ago, when Bev and I went and stayed with Valerie and Kevin for a few days after the World Science Fiction Convention in Denver. I wrote the bass violin case into a dark western fantasy short story. The short story became the first chapter of a novel that I’m revising now. I think Death of Music will make a guest appearance in the book’s climax when demons assail Salt Lake City in 1880!